Keeping your Michigan home at a comfortable temperature is a must, especially since the fall months will slowly fade to winter. Unfortunately, many residents suffer from a broken or malfunctioning furnace, making it difficult to remain comfortable and keep their home heated properly. If this happens to you, home heating repair is available in Lansing, Michigan. Here at Applegate Home Comfort, we have been helping Michigan residents with their HVAC needs since 1952. 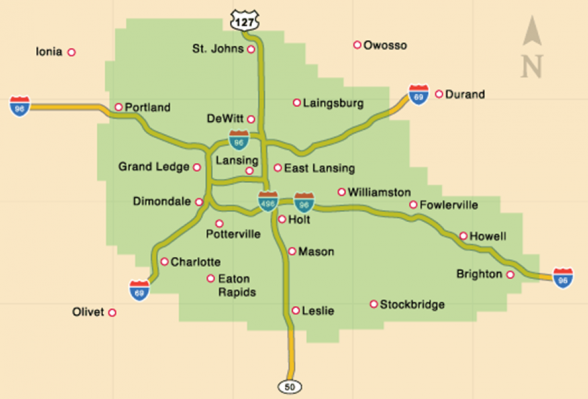 We can help you with your heating and cooling needs in Lansing, Michigan and naturally this involves home heating repair during the winter months. Before you contact our Okemos, Michigan office, let our experts explain why home heating is so crucial for Michigan homes and how we can help. Much like the rest of the midwestern states, Michigan receives more than its fair share of snowfall. The Great Lakes, which surround the state, play a major role in the amount of snow the state gets. In addition to the snowfall, temperatures drop significantly in the winter months, making home heating all the more important. There are a number of reasons your furnace could stop working and many of them are avoidable. For example, filters need to be replaced often and if you haven’t replaced them in some time, your furnace may not be operating efficiently. If your Michigan home heating system is suffering from any of these issues, or is in need of maintenance, Applegate Home Comfort is here to help. We have more than 64 years of experience in HVAC repairs that comes in handy when home heating repairs are needed. In addition to home heating repairs, we can also help with your air conditioning, insulation needs, and other HVAC services. We will gladly help with your home heating repair needs whether you have a furnace, heat pump, or a hybrid heating system. If you are in need of the high-quality services offered by Applegate Home Comfort, we are a mere phone call away. You can contact us online or give us a call at 517.337.7700 to schedule an appointment today!